The Plains of Ashford were built over the ruins of Old Ascalon. Charr that live and work here still battle human ghosts from the past. The Flame Legion, human separatists, grawl, harpies, skelk, and ogres are also a constant threat. Entering the plains from the Black Citadel, I arrived at the Village of Smokestead. Here I met my charr friend and tour guide, Grekel Feraldrum. I’ve spent a lot of time researching the area (especially it’s past), but it’s always useful to get another opinion from a local. At the village, I visited the Three Legions Court to find it’s patrons in a bar brawl. Apparently this sort of thing happens all the time. After two weeks of negotiations, Kiel and Gnashblade have been granted an audience with the Master of Aspects. To secure a trade agreement with the Zephyr Sanctum and gain favor with the Captain’s Council, they need to impress those in charge here. We have not seen how the Zephyrites run their organization, but this Master of Aspects holds enough authority to sway his people. 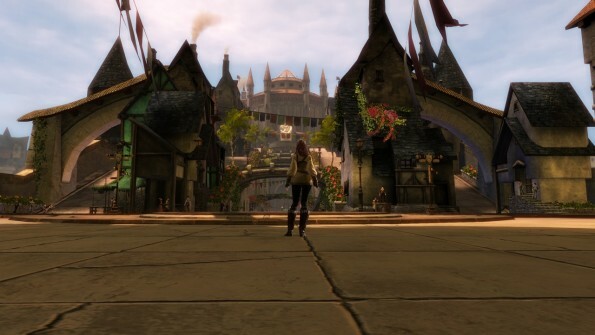 The Black Citadel is the capital city of the charr, built upon the ruins of the human city Rin. 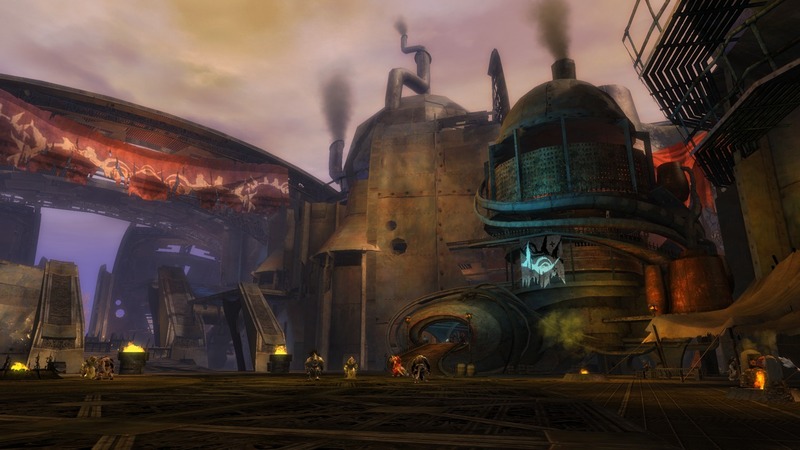 It was constructed on 1112 AE, 22 years after King Adelbern unleashed the Foefire when the charr marched to take over Ascalon City. Adelbern’s wicked spell killed every human in the area including himself, to transform them into eternal ghostly protectors. As ghosts, they mindlessly attack anyone who enters their territory, charr, human, and even sylvari. No one has been able to dispel the Foefire, so the charr of Black Citadel and Ascalon continue to fight the ghosts. With the return of the Claw of the Khan-Ur to Imperator Smodur the Unflinching, charr and humans have agreed to a peace treaty. 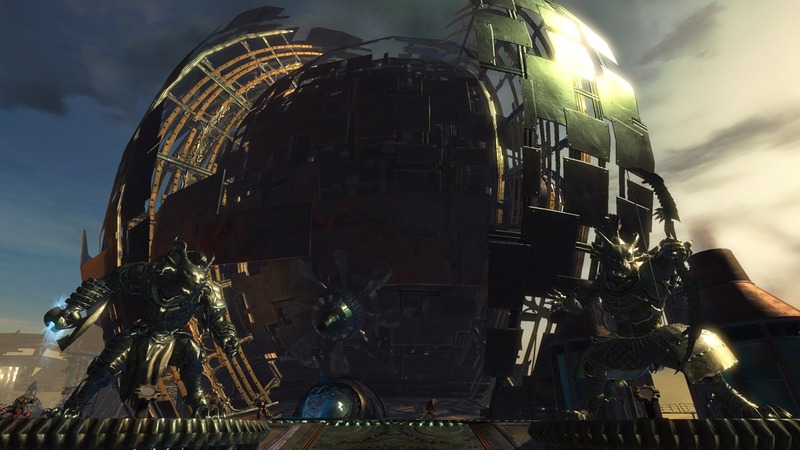 The deal was struck only 2 years ago, but the citadel has already become friendlier to travelers of all races, and the war with the humans of Ebonhawk has ceased. Thanks to the foresight of Queen Jennah and Imperator Smodur, this treaty brought the two kingdoms together, setting aside their differences from the past to focus on the dragons which ravage Tyria. Arriving here from Lion’s Arch, my view was dominated by the Imperator’s Core; a metallic spherical building at the center of the city. Looking at it from the Memorial Quadrant, six charr statues line the walkway leading up to it.